Iceland is a stunning country with lots to see. Planning a road trip can be overwhelming. So a great option is to book an Iceland Self Drive Tour package where all is planned and booked for you: the car, the hotels and the suggestions of places to stop. Below is my guide to choose the best tour option for you. 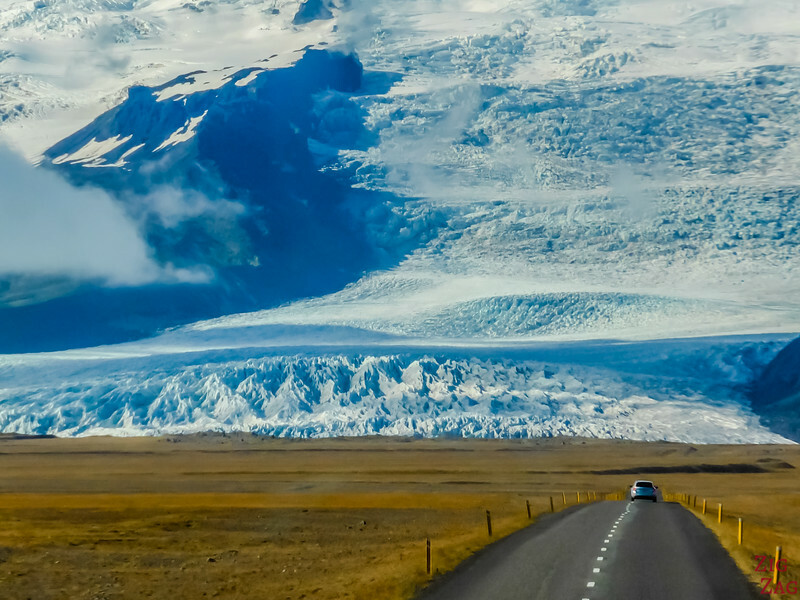 Planning an Iceland Road Trip - Package or Self-planning? Don't want to read the whole guide? Should you book extra activities now? If you arrived on this article, it means that you are considering purchasing a Self-drive Package. However planning a trip to Iceland is a lot of fun so let's quickly review the self-planning option. I don't recommend booking a Tour package if traveling in October. They often offer the Summer packages and days are too short to complete the drives and visits. Before I start entering the details and explaining the criteria to choose your self-drive tour company and your tour, you might just want to have a look at my suggestions for packages. I have selected Guide to Iceland. They are a very dynamic and passionate local team of experts. I really enjoy their platform and their options. The advantage of using an agency in your own country is that it is easy to communicate with them in case of issues, but they probably are using a local agency anyway so it is adding cost. My choice goes to a local travel agency with local experts to define itineraries. The team at GuidetoIceland is responsive and passionate. See how mmany personal details you want in your itinerary. Some companies offer tours without any changes possible, other allow you to modify a few things or select extra options. The company you choose should have different packages for Summer and Winter - if they are offering the same, be concerned! Daylight is so different, you can't fit the same amount of sightseeing and driving. Don't forget to check out the minimum age to drive the car and any other conditions they may have (deposit when renting car etc) so that you make sure you agree with those. Of course, this is always a good thing to read before selecting a company. All companies will have negative reviews, something can always go wrong and some people have impossible expectations... Check out the percentage of bad reviews and if the companies has taken the time to answer the bad one in a respectful manner. Don't forget to check the cancellation terms! For example, if you are booking on GuidetoIceland, you can cancel within 24 hours. Past that, they will keep a significant fee for their work planning and booking. It makes sense but some people are surprised, so I am being upfront. Therefore I recommend taking their cancellation insurance. The fee is very reasonable and you will be able to get a refund anytime! 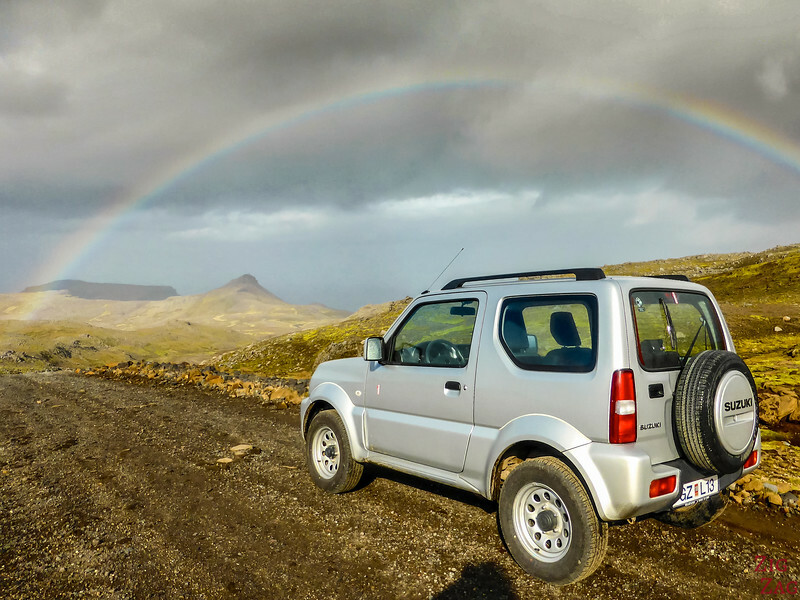 Your first criteria to select your self-drive tour in Iceland is how long you have to explore the country. A few days? One week? 10 days? More? My recommendation when selecting your tour is not to book a Full ring road tour in only 7 days. This would imply a lot of driving and feeling frustrated not to be able to stop as much as you want. With one week or less focus on one region either South Iceland or West Iceland or North Iceland. If you have more than a week, you can consider driving the complete tour of the Ring road. And if you have time, I recommend adding the Snaefellsnes peninsula with its beautiful Kirkjufell mountain. How long you have for your holiday is important, but the period when you are traveling is as well. In Winter the days are really short and you cannot cover as much road and sites as during Summer. 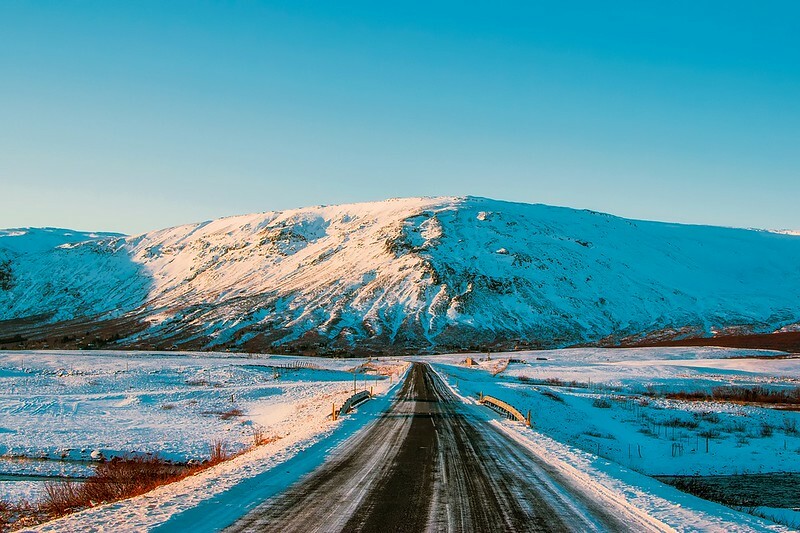 Book an Iceland self drive tour that is designed especially for Winter or Summer. However as I said at the top of the article, I don't recommend booking a tour package when traveling in October. They tend to offer the Summer tour packages but the days are too short for that. Take into consideration how much driving you are willing to do each day. For example the famous Glacial lagoon of Jokulsarlon is 4h30 away from Reykjavik! 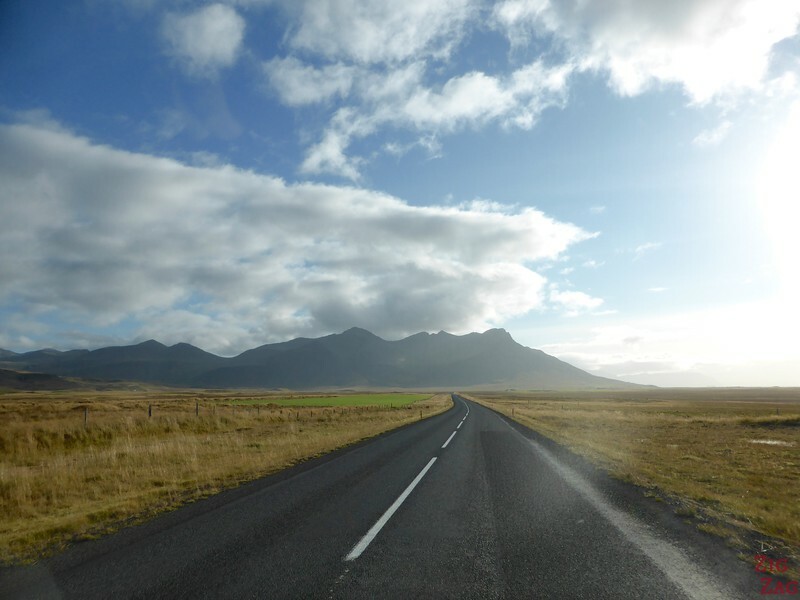 That's one thing that is missing from the otherwise great information on the GuidetoIceland Seld-drive tour packages, it's how much driving is required each day. But you can get a rough estimate using Google maps. If you have limited money to spend, your can see Budget self drive tour options here. Some are a lot cheaper because they are camping tours which can be fun! 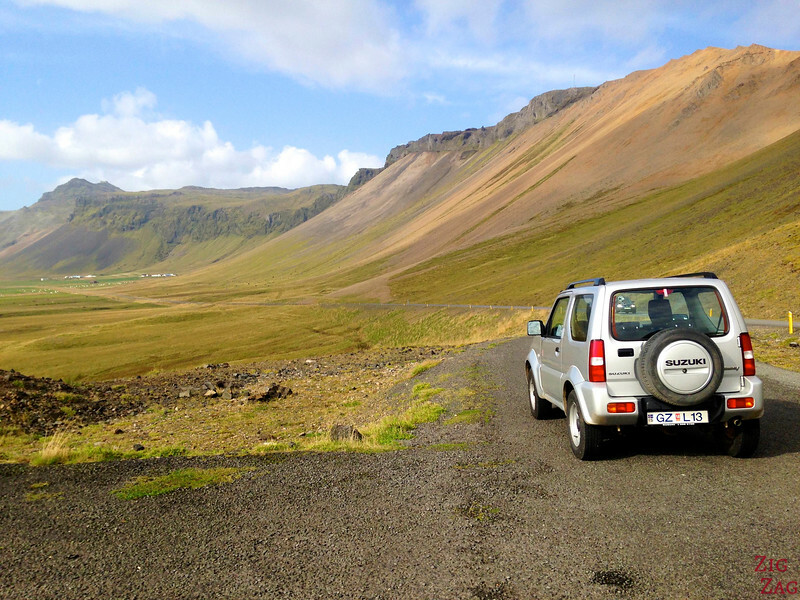 Iceland rental agencies offer have both manual and automatic cars. So it depends on what you are used to driving at home. If you are staying on the main roads, driving is very easy. To my opinion, on gravel and bumpy roads, the automatic was more comfortable but the Manual was way more fun! If you have some time and want to discover some areas more in depth, this is when you have to go all ‘pros and cons’. The 4WD is more expensive. But by renting a 4WD your don't worry engaging in gravel roads. If it looks promising, you can go no problems! There is not much about accommodation I can tell you. With an Iceland self drive package, you have a lot less flexibility. You basically choose the level of comfort you are looking for. Note that some accommodations in Iceland have shared bathrooms so make sure the conditions are clear when booking. I think accommodations is totally secondary in Iceland. It is so beautiful that you want to spend as much time as possible exploring and admiring the scenery. The hotel is just for sleeping 🙂 . But this is a very personal opinion. Should you book extra activities now or once there? If you book on Guide to Iceland, once you select your date and number of people, you can select the activities you want and book them right away. Don't forget to wear appropriate clothing and have the right equipment. Check out my Iceland packing lists for Winter and Summer. 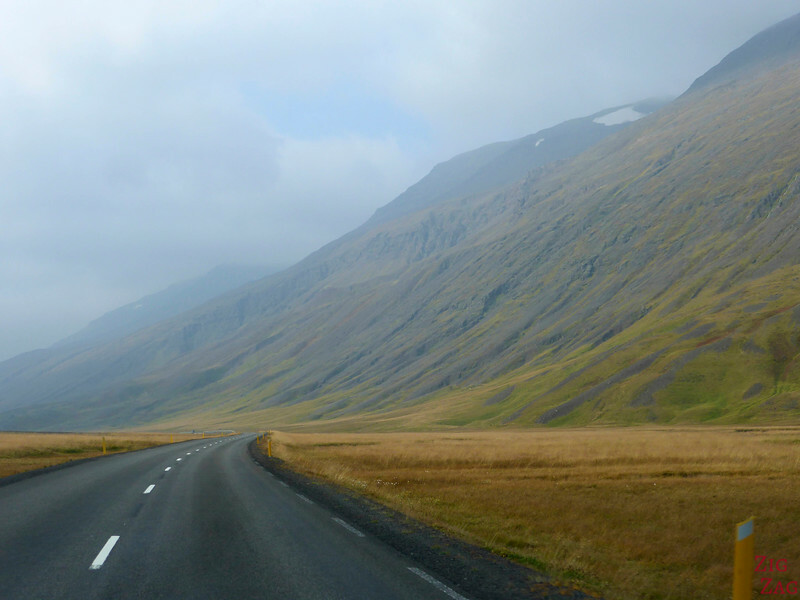 And here comes my selection of great Self-drive tours in Iceland. I have spend time reviewing the itineraries and reviews. I think they are well balanced in terms of scenery and driving time. As I said earlier, if you have only a week, I don't recommend going for the full ring road tour because it will be a lot of driving and frustration not to be able to stop. 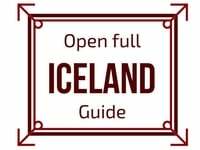 This is a great program to explore the best of the Iceland's South Coast, the Golden Circle and the Snaefellsnes peninsula. There is already a lot for you to see here. This is a great tour to have an overall view of Iceland with the South, the North and the Snaefellsnes Peninsula. In the North, if whales are not essential to you, I recommend skipping it to spend more time exploring the Myvatn area. It is home to really fascinating geological features. A full tour of Iceland including the magnificent and less visited Westfjords! Golden circle and South Coast of Iceland with less stops than in Summer because things are less accessible. You will still enjoy magnificent scenery, the powerful waterfalls and the icebergs at Jokulsarlon. I recommend the Ice cave tour. It is becoming a bit too touristy but it is still a magnificent place! Enjoy the Complete Ring Road Tour to get an overview of the whole island in Winter. Hi we plan on doing the 7 day self drive tour of the Snæfellsnes peninsula and the south coast and the golden circle. Which of your books would be more helpful to us? For a 7 day tour, the Ring Road guide should be sufficient. But if you want to spend more time on the peninsula, then the large one would have more info.